Here is a great little documentary about the civil war in S. Sudan. Caution: Not for the feint hearted. Late last year, South Sudan’s president, Salva Kiir, accused his former vice president, Riek Machar, of attempting a coup d’état amid accusations of rampant corruption within the government. Infighting immediately broke out within the presidential guard, sparking what has now become a brutal tribal and civil war that has pitted Machar’s ethnic Nuer loyalists against the majority Dinka, who have sided with Kiir. Machar narrowly escaped assassination, fleeing to the deep bush as Kiir’s troops razed his home and killed his bodyguards. And now the world’s newest sovereign nation is in imminent danger of becoming a failed state. 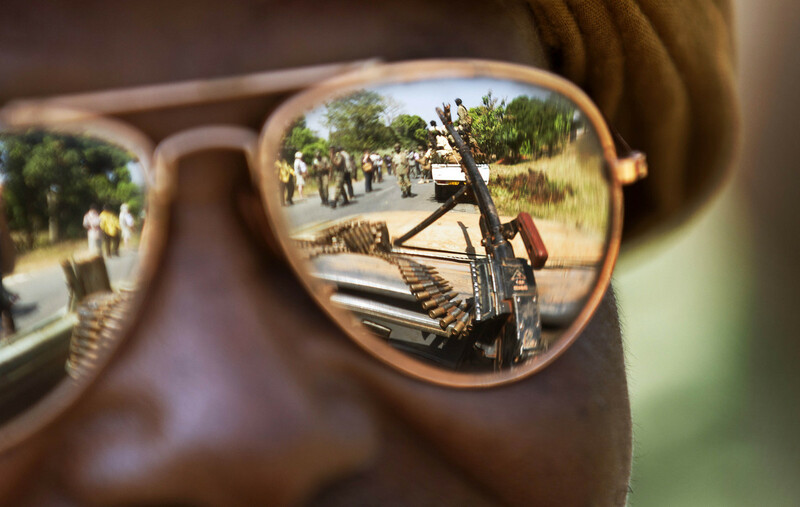 In February, journalists and filmmakers Robert Young Pelton and Tim Freccia set out on a grueling mission to locate Machar in his secret hideout in Akobo and get his side of the story. Accompanying was Machot Lat Thiep, a former child soldier and Lost Boy who had advised on South Sudan’s constitution and now works as a manager of a Costco in Seattle. Machot acted as a guide of sorts, arranging Pelton and Freccia’s rendezvous with Machar through a series of endless satellite-phone calls to old contacts and rebel platoons, who would eventually guide the group to the deposed vice president. Saving South Sudan is a multi-platform exploration of the horrors of the country’s newest civil war. We devoted an entire issue of the magazine to Robert Young Pelton and Tim Freccia’s sprawling 35,000-plus word epic exploration of the crisis in South Sudan. It’s a companion piece of sorts; watch the documentary and read the issue or vice versa. But you won’t get a full scope of the situation without doing both.